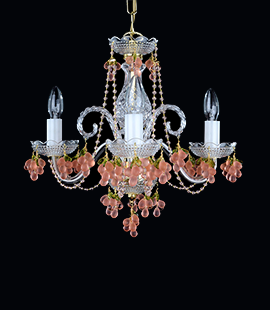 The design crystal chandelier decorated with crystal almonds. 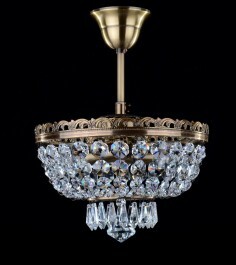 Metal finish brown stained brass. 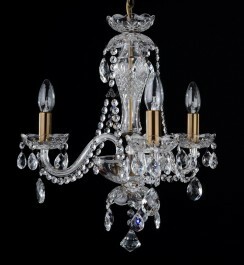 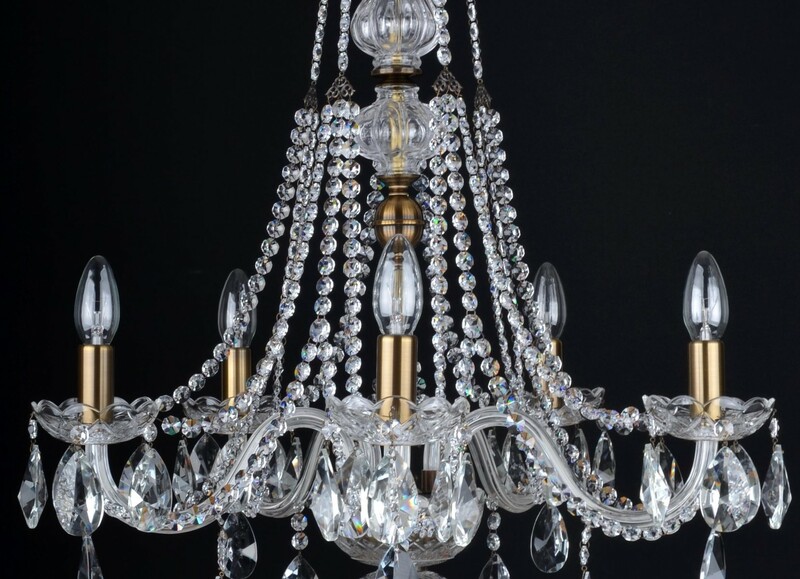 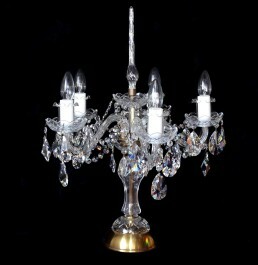 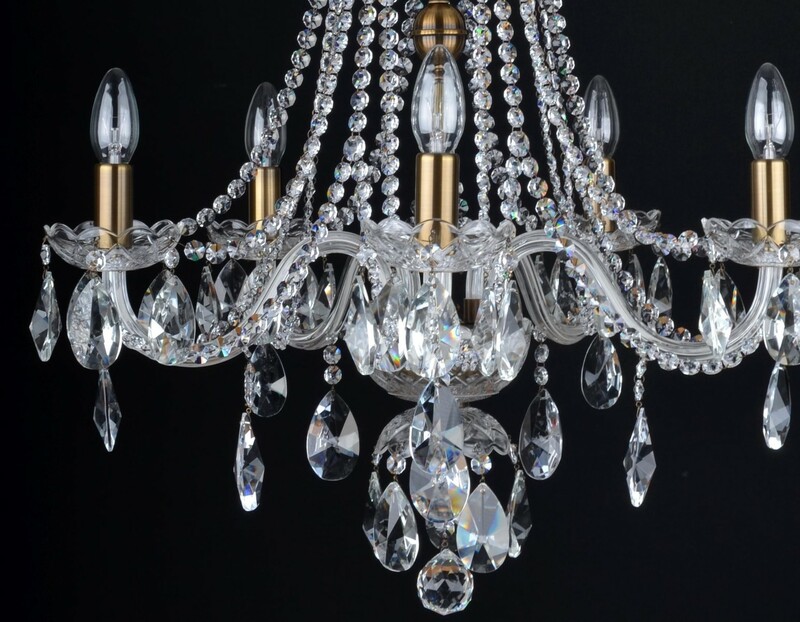 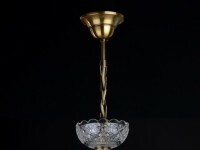 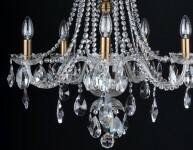 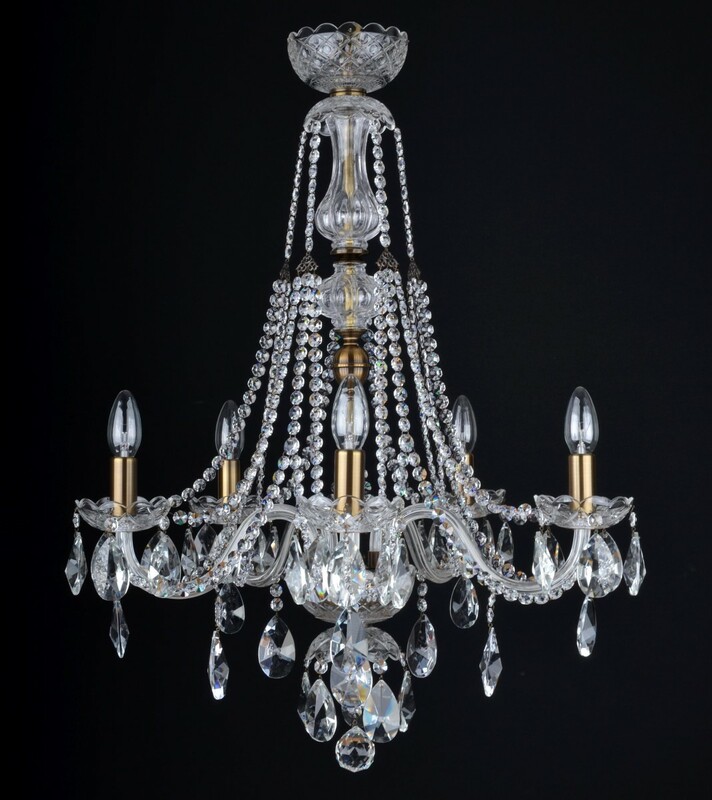 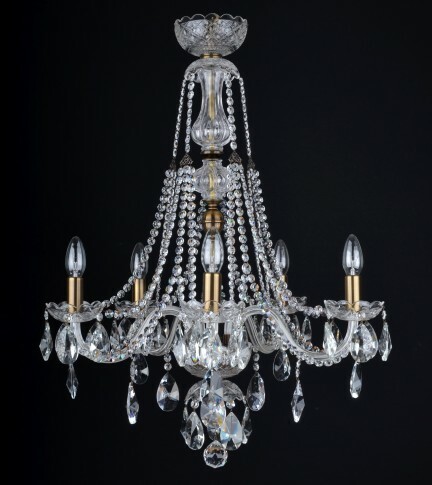 The small glass crystal chandelier with 5 profiled glass arms. 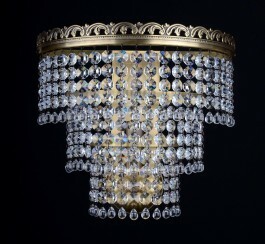 The el. sockets are covered by the brown stained brass tubes. 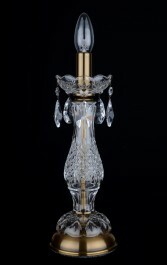 Dimensions (W x H): 59 x 77 cm/ 24.1"x31.4"